High-speed industrial grade 8-wire RS232 optical isolator with indication LED lights for TX, RX and Power. This RS232 optical isolator offers a strong industrial grade and effective protection against all high voltage spikes, surges, static electricity, lightning strikes and ground loops. 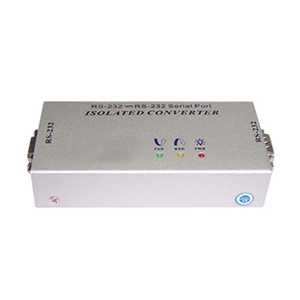 It effectively protects all 8 data lines against data loss and damage for up to 2500 Vrms and continuous 500VDC. 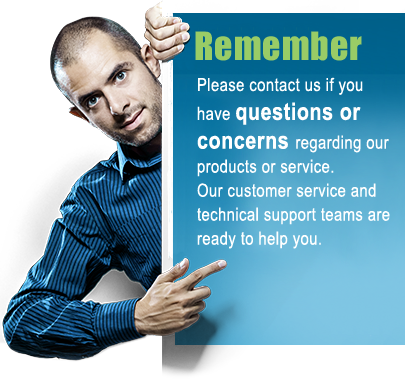 Static electricity and other high voltage surges are protected for up to 15KV. 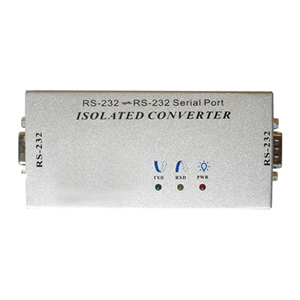 An external 9VDC power supply for powering this RS232 optical isolator is included. 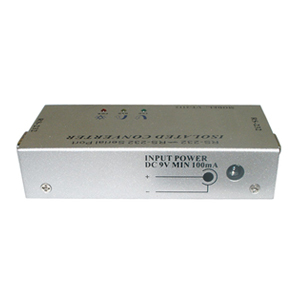 The external power supply allows for effective protection while still performing at top speeds. 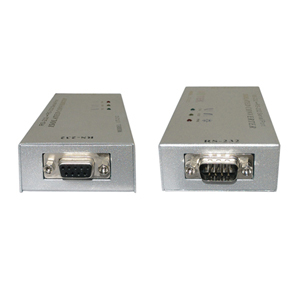 Standard DB9 connectors allows easy connection of any standard DB9 serial cable, and the TX/RX signal indication lights makes troubleshooting easy. Two 4-feet M/F Serial cables and one 110/240VAC to 12VDC power supply adapter is included with each isolator.